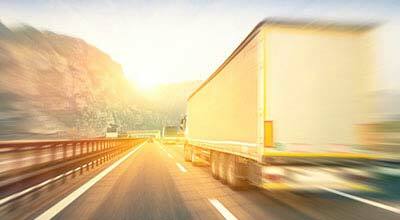 Black Canyon City, Arizona—An accident involving a semi-truck on I-17 near Sunset Point on July 27, 2018 has claimed the life of Harry Bates and resulted in serious injuries to Tammy Knaak. 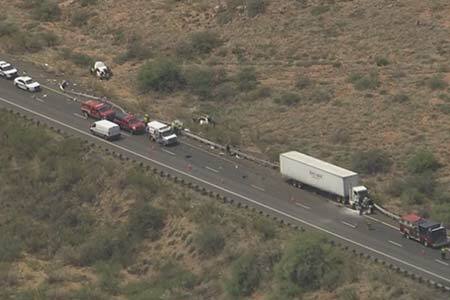 According to accident investigators with the Arizona Department of Public Safety, Harry Bates and Tammy Knaak were in separate vehicles and northbound on I-17 when heavy weekend traffic slowed vehicles to a crawl. The driver of a semi-truck was inattentive and smashed into the line of cars. Ms. Knaak's vehicle was one of the first to be struck and it rolled several times after impact. Ms. Knaak was rushed to the hospital with several broken vertebrae and broken ribs. Amazingly, her mother, Kris Knaak, escaped serious injury. Harry Bates, the driver of the car in front of the Knaak vehicle, was not as fortunate and was killed in the chain collision. A hazardous materials crew was called in to deal with fuel leaking from the semi onto the roadway. Ms. Knaak remains in the hospital and will stay in intensive care for at least another two weeks. She has no short-term disability insurance, so she must wait until her long-term disability insurance takes effect. A GoFundMe account has been established to help Ms. Knaak with her medical expenses. We offer our condolences to the Bates family and we wish swift and successful recoveries for everyone who was injured in this tragic truck accident.